FOR IMMEDIATE RELEASE – San Francisco, CA – StartOut, the largest nonprofit organization supporting LGBTQ entrepreneurs, welcomes its third cohort to the StartOut Growth Lab, a first-of-its kind startup accelerator for companies founded or co-founded by LGBTQ entrepreneurs. The Growth Lab is sponsored by global law firm Nixon Peabody and is housed in 2,300 square feet of donated space in the firm’s San Francisco office. 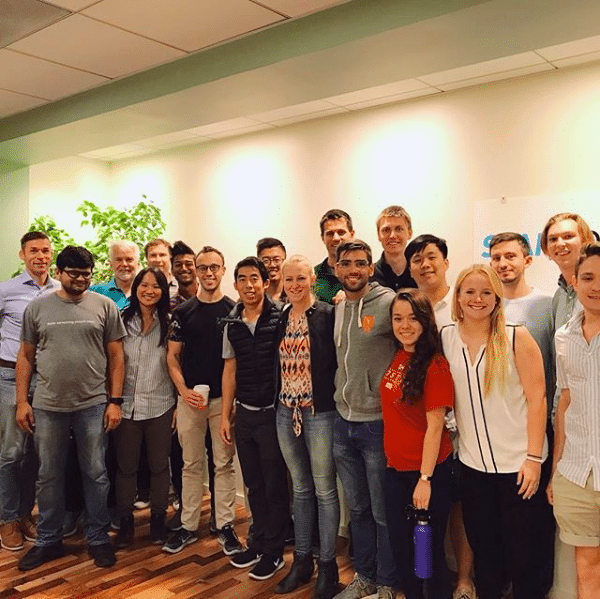 During the six-month accelerator program, entrepreneurs work one-on-one with Nixon Peabody attorneys, StartOut’s entrepreneur-in-residence, and other experts. In addition, they receive mentoring, education, introductions to capital sources, and an array of networking opportunities. Endo Industries, a biotech company focused on creating an advanced breeding platform and providing tissue culture services for high value crops such as coffee, hemp and cannabis. Goodly, a student loan repayment service that allows employers to make contributions to student loan servicers as an employee benefit. Ivy Food Tech, an information exchange network for food supply chains, starting by automating document receiving, filing and sending. Patch’d, a medtech company that detects sepsis using artificially intelligent algorithms and a simple device to prevent the disease, the number one cause of death in hospitals. Rain Neuromorphics, a microchip company that builds brain inspired processors for artificial intelligence. Snappr, the largest on demand photography platform in the US and Australia connecting photographers and clients. Founded in 2009, StartOut is the largest national nonprofit 501(c)(3) organization dedicated to entrepreneurship in the lesbian, gay, bisexual, transgender and queer (LGBTQ) community. StartOut helps aspiring LGBTQ entrepreneurs start new companies, supports current LGBTQ entrepreneurs as they grow and expand their existing businesses, and engages successful LGBTQ entrepreneurs and their allies as role models, mentors, and investors. StartOut’s goal is the economic empowerment of the LGBTQ community, through supporting, educating, inspiring and connecting members of the LGBTQ community around entrepreneurship and business leadership. To support StartOut, please visit https://startout.org/DONATION/. Your generous donation will help StartOut continue to build on its momentum and extend engagement among LGBTQ entrepreneurs and their supporters worldwide.